The Illinois Innocence Project at the University of Illinois Springfield is seeking a new trial in a 1995 Naperville arson murder case. 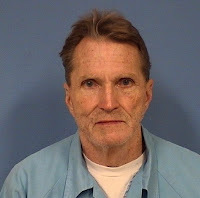 Attorneys will appear in DuPage County court on Monday, December 12, 2016, at 1:30 p.m. arguing to reverse the convictions of William “Bill” Amor, who has spent 21 years incarcerated on a murder conviction they maintain he did not commit. The hearing is expected to last the week and is believed to be the first of its kind in Illinois regarding changes in fire investigation. Bill Amor will be represented in court by four attorneys: Lauren Kaeseberg, Illinois Innocence Project legal director, Chicago office; Erica Nichols Cook, director of the Iowa State Public Defender Wrongful Convictions Unit (and former Illinois Innocence Project staff attorney); Tara Thompson, staff attorney, the Exoneration Project; and Kevin Caraher of the law firm Cozen O’Connor. On the evening of September 10, 1995, Amor and his wife left their Naperville apartment (which they shared with Bill’s mother-in-law, Marianne Miceli) to go to a drive-in movie. They were gone for several hours and when they returned, they found that a fire had broken out at the apartment and Miceli had died from smoke inhalation, specifically carbon monoxide (CO) poisoning. Amor would be convicted two years later, on September 17, 1997, of murder and aggravated arson for setting the fire that caused Miceli’s death. Amor was convicted based upon a confession (which the Project argues was false) and arson findings that are no longer scientifically reliable. What stands out in this case is that Amor’s confession was the basis for the fire investigators in 1995 to change their initial finding of an “undetermined” cause of fire to an arson. With the exception of giving a false confession in this case, Amor has maintained his innocence from day one. He was ultimately sentenced to 45 years in prison. Attorneys and experts reviewing the evidence have found that investigators used outdated and discredited techniques to convict Amor. The methods used by the original fire investigators are no longer accepted as a scientifically reliable methodology in fire investigations. In fact, the “National Fire Protection Association’s Guide for Fire and Explosion Investigation”, “NFPA 921”, does not support the findings in this case. In court this week, nationally recognized arson experts will testify about the new science which undercuts the conviction in this case, including: Doug Carpenter of Combustion Science & Engineering, Inc. in Columbia, Maryland, and John DeHaan of Fire-Ex Forensics in Vallejo, California. 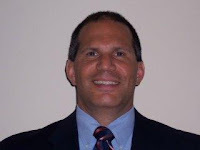 Noted expert on false confessions, Steve Drizin, associate dean and clinical professor of law at Bluhm Legal Clinic at the Northwestern University Law School, is on the witness list for Amor as well. “This is a unique case where we can actually demonstrate the falsity of the confession because we know with expert certainty that a fire cannot be started the way Bill ‘confessed’ to starting the fire. 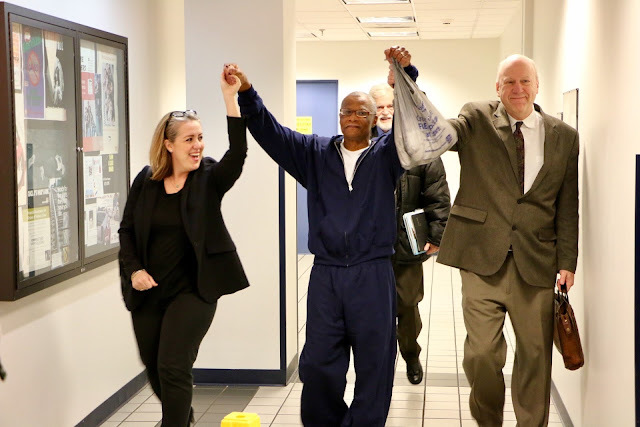 The ‘arson’ finding predicated on that false confession, and based on erroneous science should not stand in the eyes of the law or justice,” said Lauren Kaeseberg, legal director of the Illinois Innocence Project Chicago office, who represents Bill Amor. Also in question is the alleged false confession that Amor gave to the police at that time. His final statement to police came after two weeks in jail, immediately followed by being served divorce papers at the station, and 15 hours of questioning. The confession included details as to how Amor purportedly started the fire with vodka and a lit cigarette – it is now known that a fire cannot start that way. “Confessions and statements by suspects are viewed differently today than they were in 1995, due in large part to the fact that false confessions have played a role in approximately 25% of the first 325 DNA exonerations, and 205 out of 1,600 exonerations nationwide, according to the National Registry of Exonerations. Today, we know that false confessions happen; this realization was not commonly accepted in 1995,” said Larry Golden, founding director of the Illinois Innocence Project. “Bill Amor is an innocent man, who has spent 21 years in prison based on unreliable evidence. We are hopeful that the science will shine a light on the truth this week and there will finally be justice in the case of Bill Amor,” said Erica Nichols Cook, director of the Wrongful Convictions Unit of the Iowa State Public Defender, who also represents Amor as “of counsel” for the Illinois Innocence Project. “Bill Amor’s conviction does not withstand the scrutiny of review based upon today’s science and understanding of fire investigation and false confessions. We know, based on a 2016-view of this case, that the 1990’s-arson findings are erroneous,” said Tara Thompson, staff attorney at the Exoneration Project, who also represents Amor. The University of Illinois Springfield has added six new majors in order to give students more educational options. 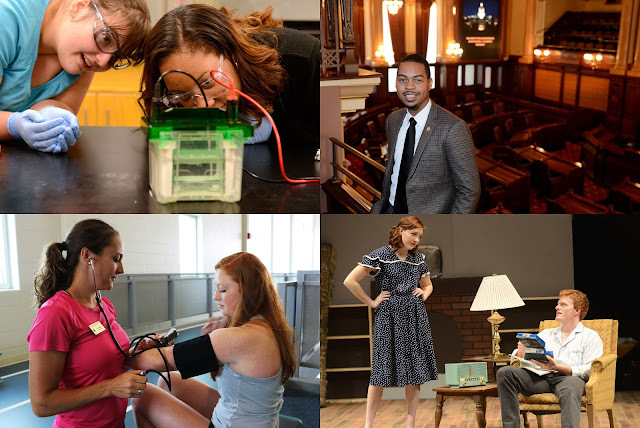 Five of the new majors started this semester and a bachelor’s degree in theatre will begin in fall 2017. The five new majors that started in fall 2016 include bachelor’s degrees in biochemistry, exercise science, public administration and public policy. A master’s degree in data analytics was also added this semester. The six new degree programs were approved by the University of Illinois Board of Trustees and the Illinois Board of Higher Education. UIS now offers a total of 31 bachelor’s degrees, 20 master’s degrees and one doctoral program. 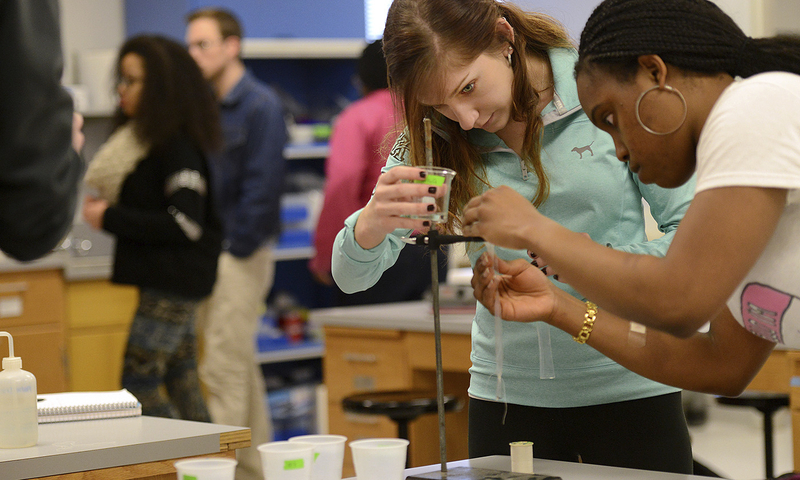 The biochemistry curriculum prepares students to immediately begin careers in the medicinal chemistry, pharmaceutical, and biotechnology industries, and meets the requirements for successful admission to professional schools in medicine, dentistry, veterinary science, pharmacy school, and other health-related fields. Students of exercise science study the science of movement, physical exertion, kinesiology, health awareness, and research into health disorders. The program is designed to prepare UIS students for various positions in the exercise and health field, or for post-graduate study in Exercise Science or additional Allied Health programs. Public administration is a field of study that prepares students to serve as managers in local, state, and federal government as well as the nonprofit sector. The UIS program endeavors to prepare students to advance the public interest and civic engagement. Students are prepared though an integration of theory and practice. The public policy curriculum explores the full policy-making process, including the study of specific policy issues from healthcare to education, criminal justice, social welfare, environmental and agricultural policy, among other areas. 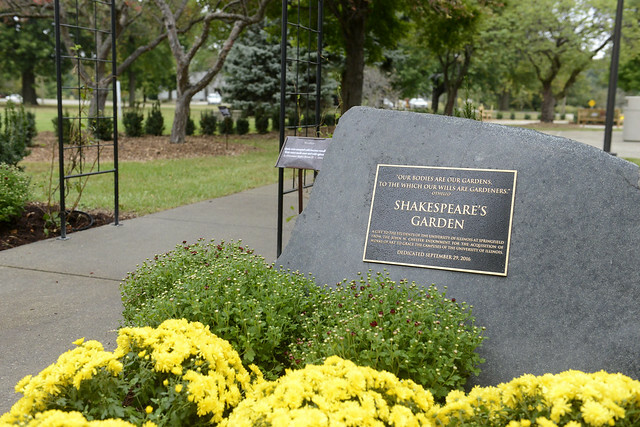 The theatre major at UIS offers students the opportunity to further develop their talents as theatre artists, by working with great dramatic literature in the classroom and on the stage. Theatre majors are exposed to a wide variety of production experiences, while exploring the collaboration needed to create a fully realized production. The master’s degree in data analytics is offered in traditional on-campus, online, and blended formats. The degree aims at providing an interdisciplinary approach to data analytics that covers both the foundational mathematical knowledge of data science and the computational methods and tools for preprocessing, interpreting, analyzing, representing and visualizing data sets. Students interested in registering for classes may apply online or contact the UIS Office of Admissions with questions at 217/206-4847 or admissions@uis.edu. The University of Illinois Springfield (UIS) and Richland Community College (RCC) in Decatur are partnering to make it easier for students to continue their college education after earning their associate's degree. The first transfer sessions are scheduled for October 31, November 10 & 14 and December 5 from 9:30 a.m. to 1 p.m. After that, UIS plans to have a presence on the Richland campus on a weekly basis with regularly scheduled office hours allowing for more interaction with visiting UIS professors and advisers. 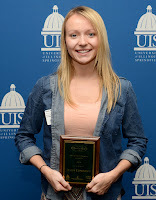 For more information on transferring to UIS, contact Raymond Barnett at 217/206-6628 or rbarn2@uis.edu. University of Illinois Springfield Chancellor Susan Koch and other campus leaders toured the student union construction site on October 19, 2016. The tour was led by Chuck Coderko, UIS director of construction. According to Coderko, the building is currently about 30 percent complete. Construction crews have finished the majority of the steel construction and are now pouring the concrete floors inside the building. The next step is to finish the roof and start to build the outside walls. UIS broke ground on the new $21.7 million student union building on May 4, 2016. The first-ever student union will serve as a hub for student life and foster a greater sense of community on the growing campus. Student Government Association President Austin Mehmet was among those who toured the construction site. He’s excited about the new amenities the building will offer. “I think like most students, I’m looking forward to the Starbucks, being able to go in and grab yourself a cup of coffee and head to class or relax for a little bit. I think that’s going to be wonderful,” said Mehmet. The two-story, 50,000-square-foot student union will anchor the campus’s south quad, providing campus dining services, a ballroom with seating for up to 450 people and a Student Leadership Center that will house student government, volunteer offices and workspaces for student organizations. The facility is scheduled to open in early 2018. Fall 2016 census numbers show an increase in the number of students taking classes at the University of Illinois Springfield. After the first 10 days of classes, a total of 5,428 students are enrolled, up from 5,402 students in fall 2015. That makes it the second largest student body in UIS history. Online learning also continues to grow at UIS, with 1,665 (30.7 percent) students enrolled in online degree or certificate programs. That’s an increase of 4.3 percent overall from Fall Semester 2015. 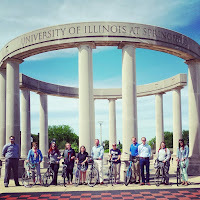 This semester, UIS online students reside in 46 states, 74 counties in Illinois, and 9 foreign countries. There are a total of 626 African American students enrolled this semester comprising 11.5 percent of the student body. Students who self-identify as Hispanic comprise 5.7 percent (312) of this year’s student body, Asian students comprise 3.6 percent (193). 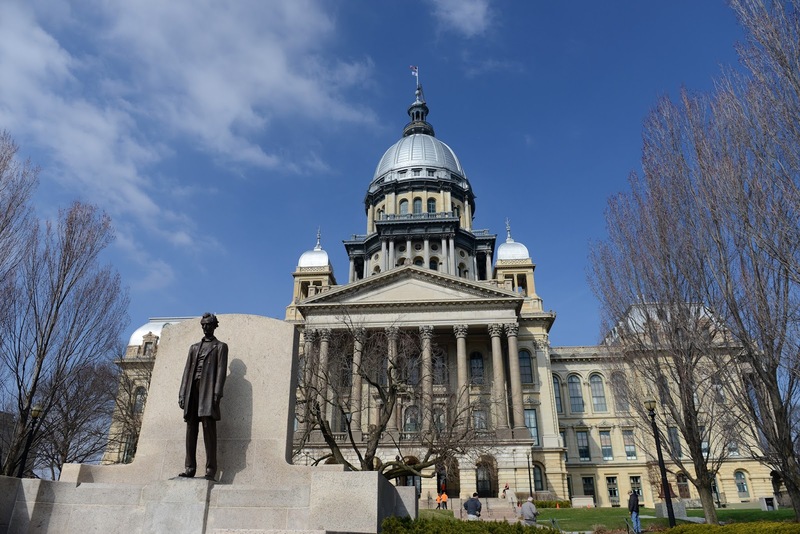 Illinois residents make up 67 percent of the student body. International students encompass 20 percent of the students enrolled and 13 percent are non-Illinois residents. Many of the 1,088 international students came to UIS from India and China. Computer Science and Management Information Systems are the most common majors chosen by international students. For more information, contact Derek Schnapp, director of public relations, at 217/206-6716 or dschn3@uis.edu. University of Illinois Springfield students volunteered at nine Springfield locations on Friday, August 26, 2016, as part of the annual Welcome Week Service-A-Thon. 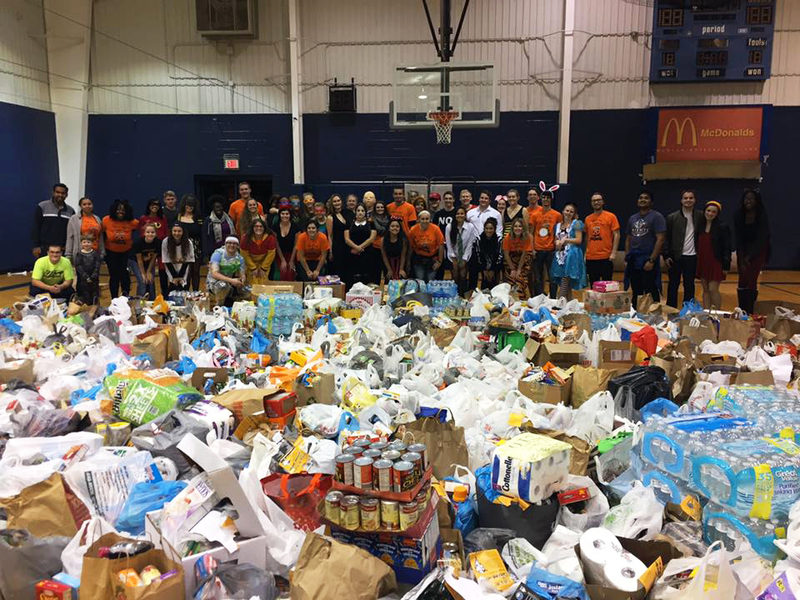 “Over the last three years, we’ve seen a steady increase in the number of students participating in this event, in our first-year service project and our MLK Day project,” said Mark Dochterman, director of the UIS Volunteer & Civic Engagement Center. Nearly 130 students were deployed to service projects at the Habitat for Humanity of Sangamon County ReStore, M.E.R.C.Y Communities, the Springfield Urban League, Family Service Center, Hospital Sisters Mission Outreach, Central Illinois Foodbank and the St. John’s Breadline. 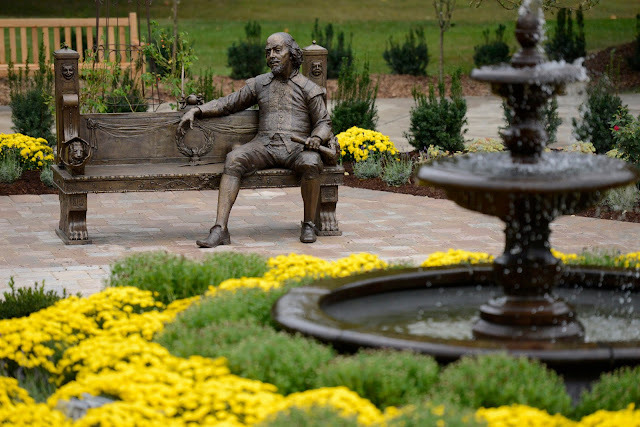 Like Rodriguez, first-year students Amanda Greenan and Tori Covington are just starting to explore their new home of Springfield. “You get thrown into a new town and you should definitely get to know your community and go and volunteer to make sure you help out,” said Covington. Dochterman hopes many of the students participating in the Service-A-Thon will get involved in the year-round service projects at the Volunteer & Civic Engagement Center. 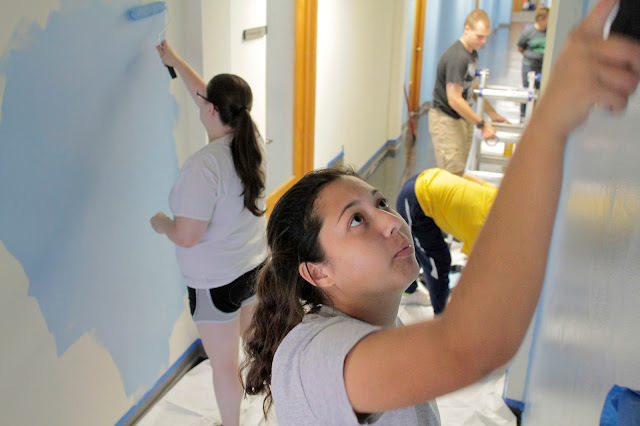 This is the eighth year that UIS has held a Service-A-Thon during the first week of classes. 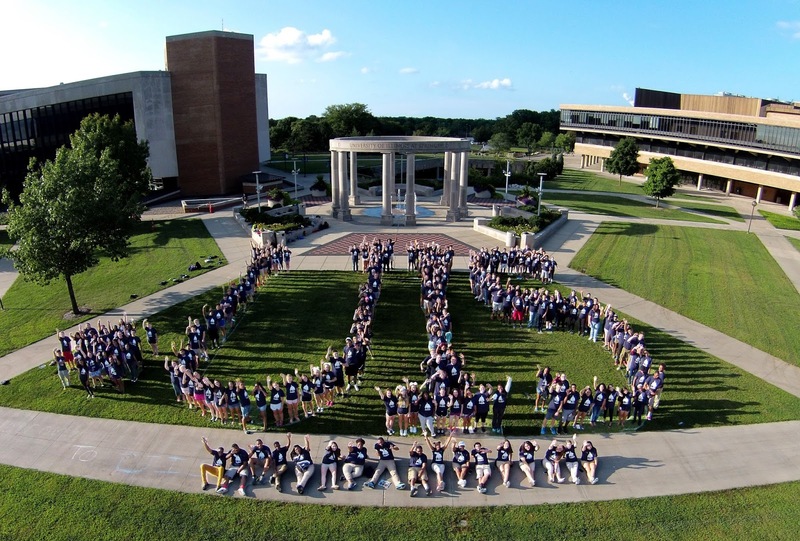 The University of Illinois Springfield welcomed approximately 250 new students during Freshman Move-In Day on August 17, 2016. “There is incredible energy and just a sense of starting something new and opening a door," said John Ringle, UIS director of Residence Life. On Move-In Day, students are assigned arrival times in an effort to avoid congestion. Volunteers help direct parents to parking spaces, unload and carry items and help students find their rooms. Fellow student Royce Hill of Chatham, Illinois also decided UIS was the right choice because of the academic opportunities and proximity to home. “I definitely wanted to get out of the house, so that was a priority, but I like still being close to home, but not living at home,” said Hill. Chancellor Susan Koch visited with students and parents as they moved into Lincoln and Founders Residence Halls, offering advice and reassuring parents. 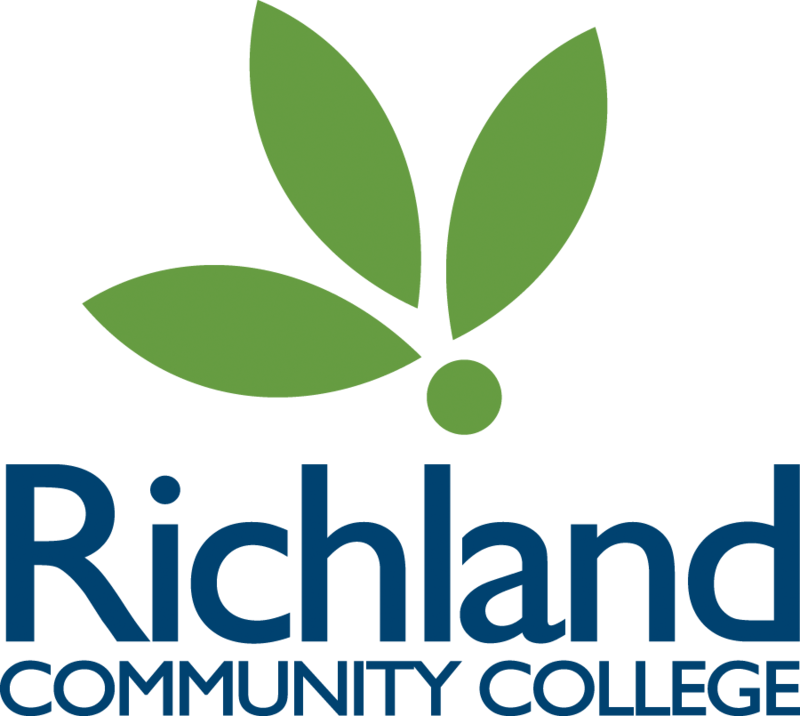 Fall 2016 semester classes begin on Monday, August 22, 2016. 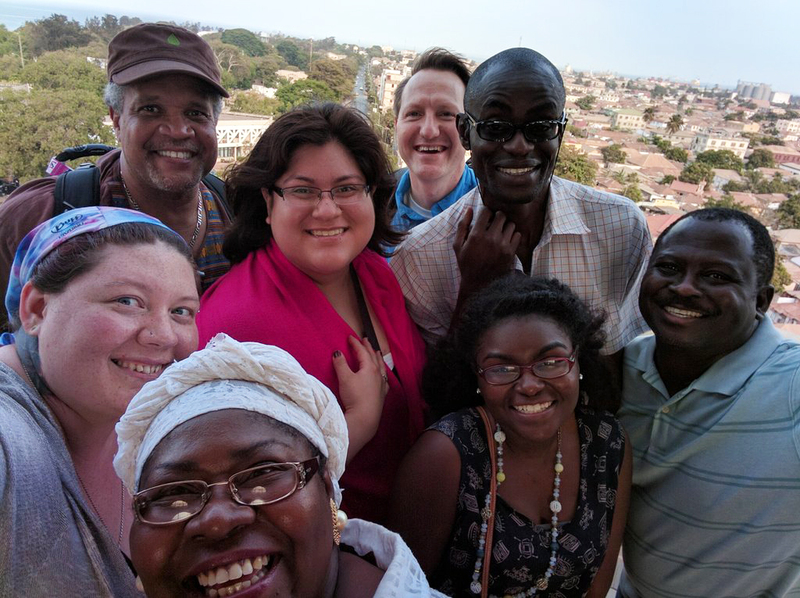 UIS students Regina Bolin and Sicely Nicholas joined seven other student researchers in Camden, New Jersey in July to begin the collaboration. 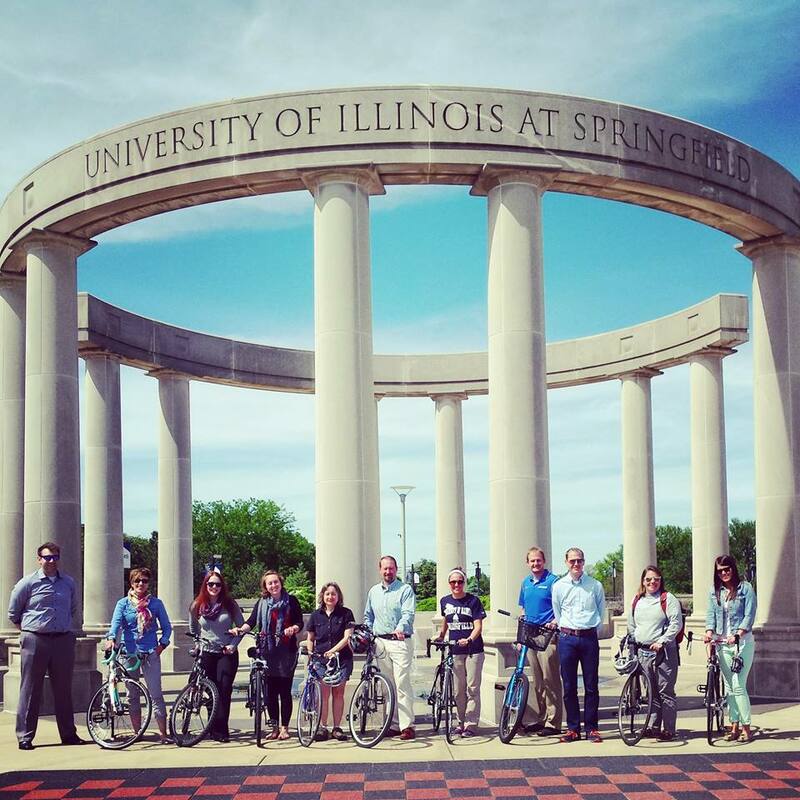 Five University of Illinois Springfield students and two faculty member are part of a national collaborative that aims to better understand super-users of healthcare services in the United States. Over the next six months, UIS students will partner with team members from the Southern Illinois University School of Medicine, St. John's College of Nursing and Southern Illinois University at Edwardsville to engage three to four high-utilizing patients. The teams of five to six students, will learn about the barriers that medically and socially complex patients face to obtaining high-quality care and maintaining their health. “Beyond the student opportunities, this program makes a huge difference in patients' lives and in the local community,” said Brittany Carls, a UIS graduate student taking part in the collaboration. “By working directly with patients, we are able to provide social support, help patients navigate the healthcare system, get patients on track to reaching their health goals, and lower the economic burden that often occurs with super-utilizers," she added. Through online curriculum and accompanying monthly case conferencing, the students will learn the key aspects of high-utilizer interventions: obtaining and using data for patient identification and selection, engaging patient and communities, motivational interviewing, transitioning patients to their primary care providers, and recording patient outcomes. 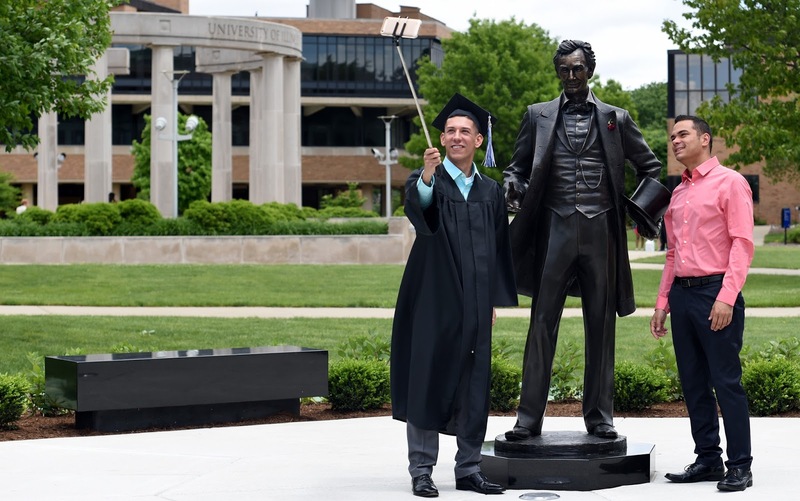 UIS Associate Professor of Business Administration Jorge Villegas and UIS Social Work Fieldwork Director and Advisor Vincent Flammini will assist the students. UIS students taking part in the collaboration include Brittany Carls (MBA), Regina Bolin and Colleen McMahon (BBA), and Sicely Nicholas and Katherine Selway (Social Work). The central Illinois team is one of 30 teams across the nation engaging with high-utilizing patients during the Interprofessional Student Hotspotting Learning Collaborative. Findings will be reviewed during a wrap-up meeting in January 2017 in Camden, New Jersey. The collaboration is being held in conjunction with the Camden Coalition, Association of American Medical Colleges (AAMC) and Primary Care Progress (PCP). The University of Illinois Springfield has named Jim Sarra as its new director of athletics, pending approval by the University of Illinois Board of Trustees. He has spent the past 11 years at The University of Texas San Antonio (UTSA) where he currently serves as deputy director of athletics for the NCAA Division I school. 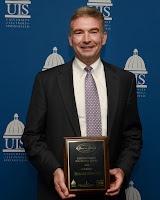 Sarra topped a pool of more than 50 national candidates that applied to lead the UIS Athletic Department. He looks forward to helping the program continue to grow. “I am so pleased to accept the Director of Athletics position, join Chancellor Koch’s leadership team, and help grow and advance UIS Athletics,” said Sarra. “This is an exciting leadership opportunity, and I look forward to getting to know the coaches and student-athletes, begin building relationships on and off campus, and settling into the community. 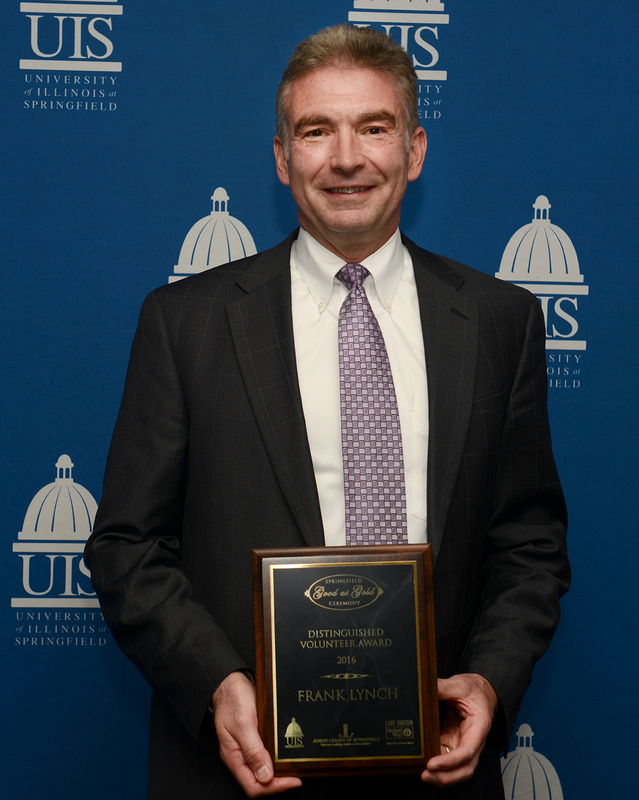 Chancellor Koch has a dynamic vision for UIS Athletics, and I welcome the challenge to lead and advance the athletic department. I want to thank Chancellor Koch and the entire search committee for their support and I can’t wait to get started,” added Sarra. At UTSA, Sarra was appointed deputy director of athletics in 2009. In that role, he was responsible for the day-to-day administration of the athletic department. He supervised the areas of academic services, compliance and strength and conditioning. He also served as the administrator for several sports. Sarra served as UTSA senior associate director of athletics for external affairs from 2007-09, UTSA associate athletics director for administration from 2006-07 and UTSA assistant athletics director for compliance from 2005-06. He previously was responsible for direct oversight of corporate sponsorship sales, marketing & promotions, media relations and ticket operations at UTSA. He also led UTSA fundraising efforts through the department's annual fund. Sarra has served in many different administrative roles at NCAA Division I BCS, FBS and FCS institutions. He was selected to and is a graduate of the NCAA Leadership Institute for Ethnic Minority Males and Females, and the NCAA Fellows Leadership Development Program. A native of West Seneca, N.Y., Sarra earned a bachelor’s degree in elementary education and master’s degree in advanced teacher education from St. Bonaventure University in 1989 and 1990, respectively. He also earned a master’s degree in sports management from Western Illinois University in 1993. Sarra will take over as UIS director of athletics on August 1. He replaces Kim Pate, who left the university in May to become the director of intercollegiate athletics at Lenoir-Rhyne University in Hickory, North Carolina. UIS has 15 athletic programs, including baseball, basketball, cross country, golf, soccer, softball, tennis, track and field and volleyball, and is a member of the Great Lakes Valley Conference in NCAA Division II. The University of Illinois Springfield has released the Dean’s List for the spring 2016 semester. A total of 539 students were selected; 87 are students in the College of Business and Management, 40 are students in the College of Education and Human Services, 346 are enrolled in programs in the College of Liberal Arts and Sciences, 54 are enrolled in programs in the College of Public Affairs and Administration, and 12 are non-degree seeking or undecided. The University of Illinois Springfield is welcoming hundreds of new students to campus during its summer KickStart orientation programs in June, July and August. A total of six different orientation sessions are planned. 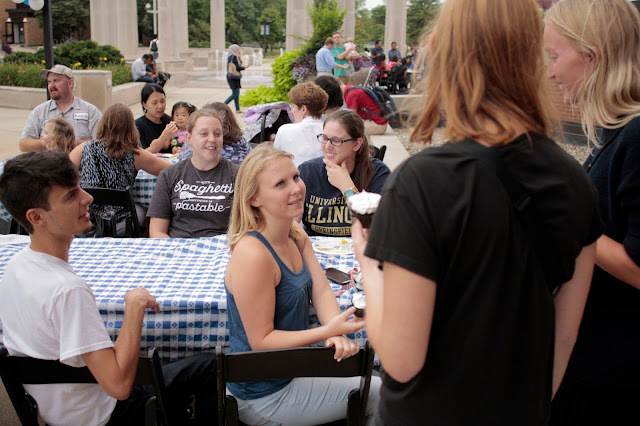 The two-day overnight event helps students understand UIS academic expectations and major requirements, allows them to meet with an adviser and registering for classes. Students also are given a chance to participate in fun activities, which allows them to get to know their classmates and start making friends. “My favorite part of today is probably getting to know everyone because these are your future classmates and basically your family for the next four years,” said Aaron Shrestha, an incoming first-year student. Alice Caceres, a fellow incoming first-year student, says she appreciates the personalized attention she received throughout her UIS orientation experience. McGuire says students will leave UIS with their fall class schedule and hopefully a better understanding of what to expect when they return in late August. “I hope they leave feeling comfortable with the fact that they have their classes and they know what they’ll be taking next fall,” she said. Four students and three faculty members from the University of Illinois Springfield are spending a month studying abroad in The Gambia, a small country in Western Africa. The group left Springfield on May 24, 2016, and will return at the end of June. Biology major Shyleen Studley is working with Associate Professor of Chemistry Keenan Dungey and Associate Professor of Public Health Josiah Alamu to conduct water quality assessments in the country. 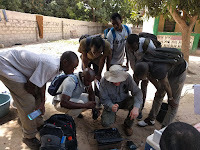 UIS faculty members are also training six undergraduates and one faculty member from The University of The Gambia in field techniques and lab chemical procedures. Global Studies/Accounting major Jessica Villegas, Sociology/Anthropology major Tyshianna Bankhead and graduate student Jacqualine Williams are working with the Gambia Committee on Traditional Practices Affecting the Health of Women and Children (GAMCOTRAP) to gain socio and cultural experience. The students are assisted by UIS Associate Professor of African-American Studies Kamau Kemayo. Williams is also working with Gambia Food and Nutrition Association to gain experience on food processing/preparation and its effect on the health of the Gambians. 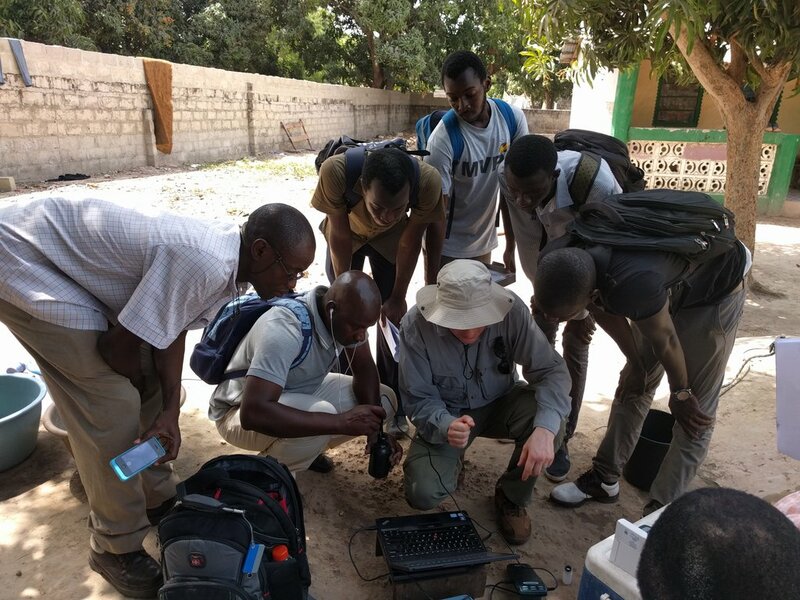 So far, the group has traveled to many locations in The Gambia, including Banjul, Brikama, Serrekunda, Kembujeh, Tanji and Kartung. 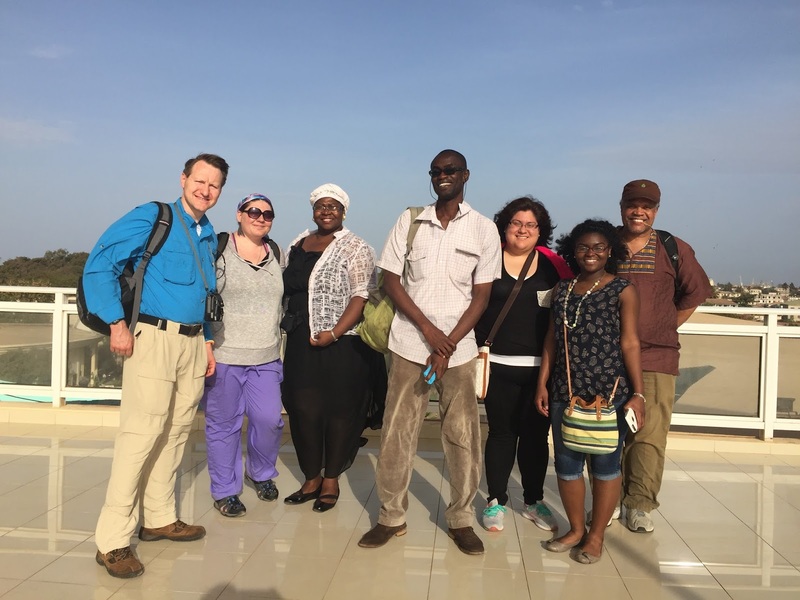 UIS students and faculty have been traveling to The Gambia on study abroad trips since 2011. The Survey Research Office at the University of Illinois Springfield has released the Spring 2016 Sangamon County Economic Outlook Survey. 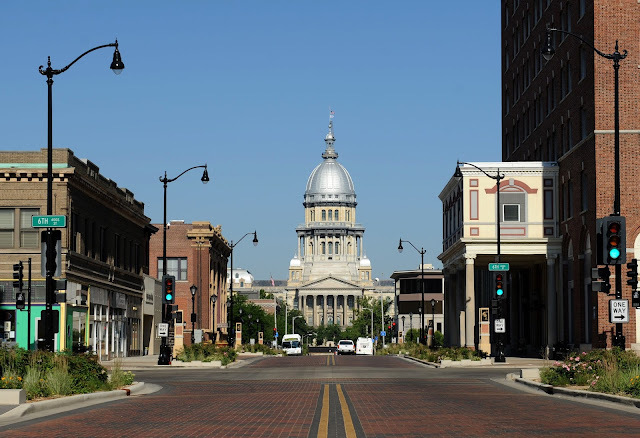 The study examines the economic perceptions, expectations and evaluations of Sangamon County businesses as well as public and non-profit organizations. The spring 2016 survey reveals that economic expectations for the economy of Sangamon County have decreased slightly since the spring of 2015 across all economic sectors. More than a third of respondents (36%) expect to see a decline in the state of the overall economy in the next 12 months. Similarly, 27% say that overall employment will decline, and 25% think that revenue will also decrease in the next 12 months. Regarding respondents’ expectations for their own firms/organizations, views are more optimistic. More than half of those surveyed (53%) say they expect their own sales to increase in the next 12 months. Likewise, 46% expect profitability to rise in the next year and 45% think that the overall status of their businesses/organizations will improve in the coming year. However, these percentages show declining optimism if compared with the fall 2015 survey, when 67% of respondents expected sales to go up, 52% looked for profitability to increase and 53% believed the overall status of their firms would get better. Respondents were asked to identify the three biggest challenges for their business over the next 12 months from a list of pre-identified challenges. A majority (54%) report that the state’s government finances are going to be one of the biggest challenges facing them in the next 12 months. Employers also identified government regulations and taxation (42%) and consumer confidence (37%) as important challenges looming in the year ahead. The report also analyses the impact of the state budget impasse on Sangamon County’s businesses and organizations. Respondents identified gross sales (54%) and profitability (47%) as the two business aspects more likely to be negatively affected by the current budget impasse. Across economic sectors, the survey finds that respondents in the retail trade and the medical/ health care sectors are the most likely to indicate that the budget impasse has affected their organization negatively, whereas those in the finance/ insurance/ real estate sectors were the least likely to indicate the state budget impasse affected their organization in a negative way. Perhaps unsurprisingly, public sector organizations and non-profits are more likely than private businesses to think that the budget impasse will have a negative effect on the overall status of their organizations in the next 12 months. The Sangamon County Economic Outlook Survey has been conducted biannually (March and September) since 2008. The results for 2016 are from 262 local organizations that were contacted in March via mail surveys and email invitations using Qualtrics Research Suite, a platform for online surveys. The Spring 2016 Sangamon County Economic Outlook Survey is sponsored by the UIS Chancellor’s Office, the UIS Center for State Policy and Leadership and The Greater Springfield Chamber of Commerce. For more information on the methodology and the full report, please visit the UIS Survey Research Office website at www.uis.edu/surveyresearchoffice. Questions about the survey may be directed to Juan Carlos Donoso, director of the UIS Survey Research Office, at 217/206-7956 or jdono2@uis.edu. The University of Illinois Springfield broke ground on a new $21.7 million student union building on May 4, 2016. The first-ever student union will serve as a hub for student life and foster a greater sense of community on the growing campus. University of Illinois President Timothy Killeen was joined by UIS Chancellor Susan Koch, and Springfield Mayor Jim Langfelder for the groundbreaking ceremony. 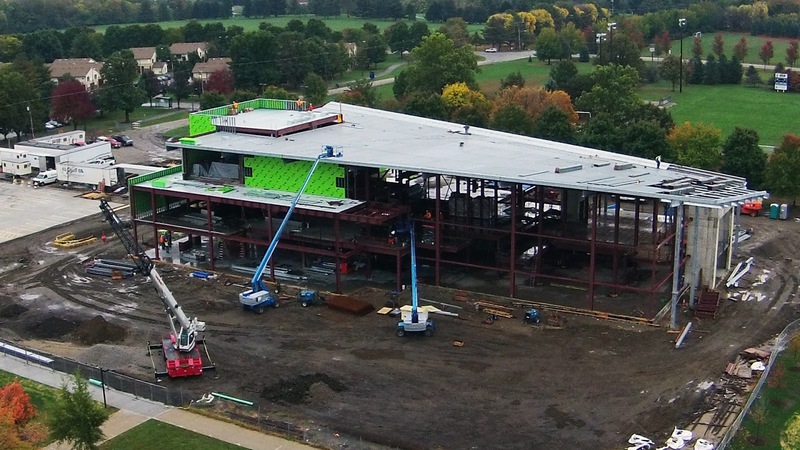 The two-story, 50,000-square-foot student union will anchor the campus’s south quad, providing campus dining services, a coffee shop, a ballroom with seating for up to 450 people and a Student Leadership Center that will house student government, volunteer offices and workspaces for student organizations. The facility is scheduled to open in January 2018. "I'm deeply grateful to all of you for your generosity and support and to Susan and her team for their hard work and persistence to make this dream a reality," said Killeen. “I want to thank our donors, some of whom are here today. As our donors know so well, a project like the Student Union is a big aspiration and we set a big fund-raising goal of $8 million to match that aspiration – an unheard of goal for this campus,” said Koch. Professional services will be provided by Crawford, Murphy & Tilly, Inc. of Springfield, TRC Worldwide Engineering, Inc. of Springfield, Massie Massie & Associates of Springfield, and Ricca Design Studios of Greenwood Village, Colorado. The building will be constructed to achieve U.S. Green Building Council LEED Gold certification. Commencement ceremonies for the University of Illinois Springfield will begin at 4 p.m. on Saturday, May 14, at the Prairie Capital Convention Center, Ninth and Adams Streets in downtown Springfield. Of the 1,716 students eligible to graduate, 1,106 will participate in the ceremony. The UIS Commencement speaker will be UIS alumna and Springfield native Donna Sollenberger who was part of the first graduating class of Sangamon State University, now UIS. She earned a bachelor’s degree in Literature in 1971 and a master’s degree in Literature in 1974. Since 2009, Sollenberger has served as Executive Vice President and Chief Executive Officer of the University of Texas Medical Branch (UTMB) Health System, where she oversees all clinical strategy and operations of a system that includes five hospitals and 90 clinics, plus a healthcare system that serves the health care needs of two-thirds of Texas’ prison system. Under her leadership, UTMB has made numerous quality improvements, including increases in patient satisfaction and reductions in death from sepsis, and achieved many awards and accolades, including designation as an ANCC Magnet for Nursing, accreditation by The Joint Commission for stroke and chronic obstructive pulmonary disease care, and the American Heart Association’s Get with the Guidelines—Resuscitation Gold Quality Achievement Award. Throughout her tenure at UTMB, she has overseen plans for numerous health care facility renovations and construction projects, including opening two new hospitals for the system. She has also supported the implementation of various cutting-edge health information technologies, including the installation of a state-of-the-art electronic medical record system, and has been influential in developing many community partnerships across the region. Prior to joining UTMB Health, Sollenberger was Executive Vice President and CEO of the Baylor Clinic and Hospital. She also served as president and CEO of the University of Wisconsin Hospitals and Clinics (UWHC), Executive Vice President and COO of City of Hope National Medical Center in Los Angeles and Vice President for Hospital and Clinics at MD Anderson Cancer Center in Houston. In 2005, Sollenberger was honored with the University of Illinois Alumni Achievement Award and named one of the Top 25 Women in Healthcare by Modern Healthcare. Lynn Fisher, associate professor of sociology/anthropology, has been chosen to serve as grand marshal. The student speaker will be Robyn Nicole Crutchfield, who will graduate with a bachelor’s degree in communication. Accountancy: Christian M. Brown – B.A. (Peoria), Quentin Kuntzman – B.A., Vivica Autumn Futrell – M.A. Biology: Janell Monee Mathus – B.S. Chemistry: Daniell Marie Bennett – B.S. Clinical Laboratory Science: Jennifer Chao Ching Esquivel – B.S. Communication: Tayla Jenkins – B.A., Caitlyn Elizabeth Barnes – M.A. Computer Science: Daniel Joseph Evertz – B.S., Justin Allen Snyder Day – M.S. Criminal Justice: Sophia G. Matthews – B.A. Economics: Andrew Cole Bergschneider – B.A. Educational Leadership: Miranda Braye – M.A. English: Bobby Max Bolt – B.A. Environmental Studies: Preston Robert Marucco – B.A., Diana Sue Fuller – M.A. 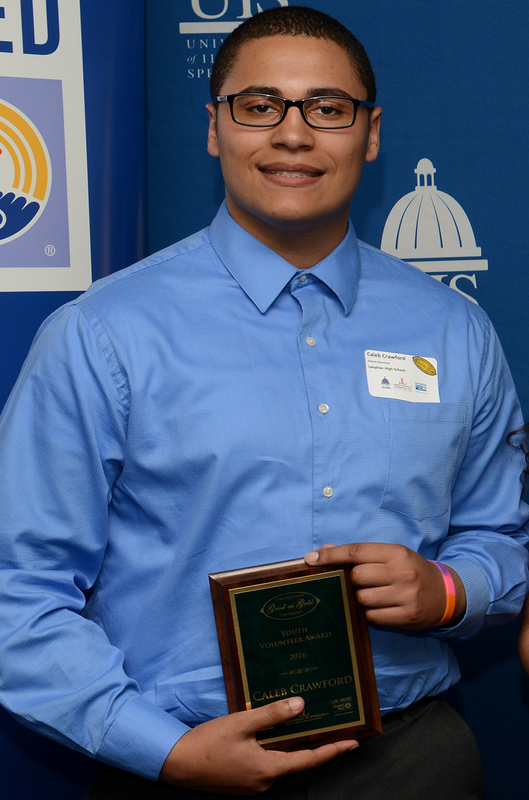 Global Studies: Manuel Gomez – B.A. History: Thomas J. Clatterbuck – B.A., Beth Anne Kruse – M.A. Human Development Counseling: Gregory Franklin Irwin – M.A. Human Services: Michael Todd Cheek – M.A. Information Systems Security: Jessica D. Williams – B.S. Legal Studies: Josh M. Lawson – B.A., Shannon Anthony Holubetz – M.A. 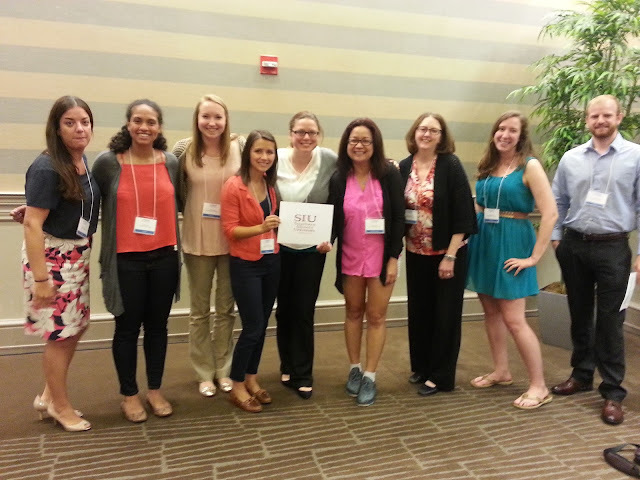 Liberal and Integrative Studies: Hannah Rucker – M.A. Liberal Studies: Rose Elizabeth Beauchamp – B.A. Management: Sean Alexandre Vaughan – B.A. Management Information Systems: Natalie T. Nowak – B.S., Jared Ross – M.S. Mathematical Sciences: Benjamin W. Stull – B.A. Philosophy: April M. McKinnery – B.A. Political Science: Ramon Alvarez – B.A., Salam A. Awad – M.A. Psychology: Mackenzie Jo Atchie – B.A. Public Administration: Jasmine Jetton-Gonzales – M.P.A., Sarah Wolin Mackey – D.P.A. Public Affairs Reporting: Ashley Alaundrea Lisenby – M.A. Public Health: Ometere Osilama Topah – M.P.H. Social Work: Amber Nicole Darrow – B.S.W. Sociology/Anthropology: Jessica Erin Kaspar – B.A. Teacher Leadership: Tobias J. Gass – M.A. Visual Arts: Caytlin McCormick – B.A. A number of events are planned for graduates, their families and guests, including a reception for Peoria-area students on Friday, May 6. 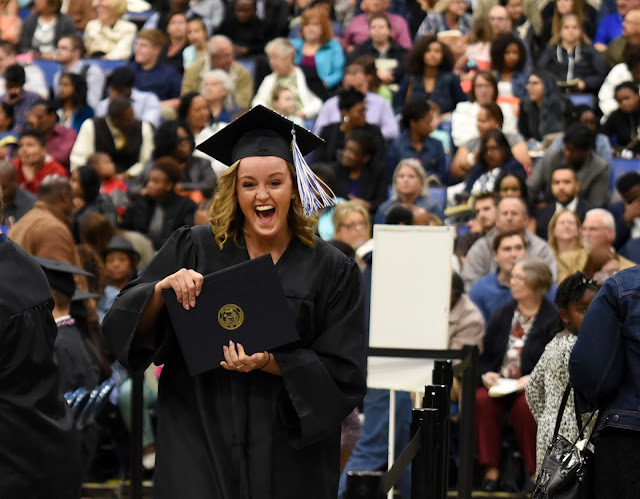 Separate brunches for CAP Honors graduates and online degree graduates are scheduled for Saturday morning, May 14. Admission to some commencement events is by invitation only. Updated information, including a complete list of events, is available from the commencement website. The ceremony will be webcast live. DVD copies of the ceremony can be purchased from the Office of Electronic Media for $25. Orders can be placed online or by phone at 217/206-6799. 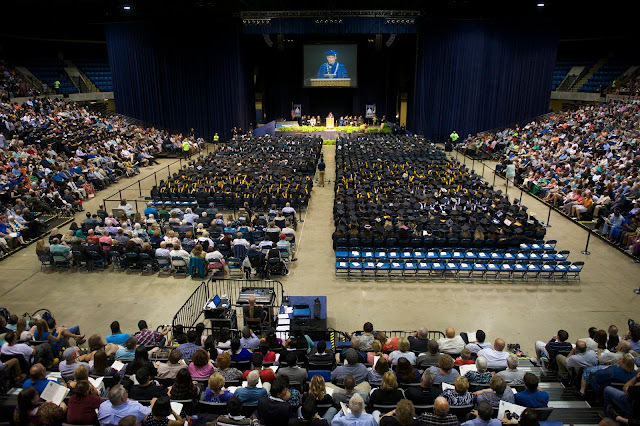 For more information, go to the UIS Commencement website. The two training labs are designed to train students, investigators, law enforcement, and other first responders to identify and respond in cases of child maltreatment. “The goal of the partnership is to make it possible for child protection first responders and the next generation of child welfare workers to enter the field with the necessary skills to protect the most vulnerable of victims,” said UIS faculty member Dr. Betsy Goulet, coordinator of the Child Protection Training Academy. 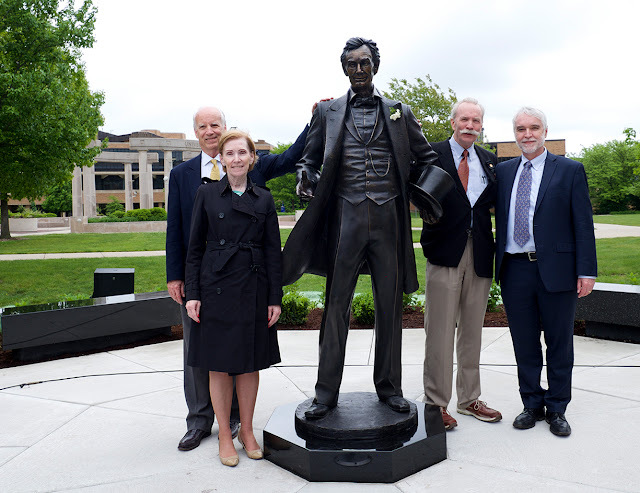 UIS Chancellor Susan Koch was joined by DCFS Director George Sheldon, Springfield Mayor Jim Langfelder, Springfield Chief of Police Kenny Winslow and National Child Protection Training Center Senior Director/Founder Victor Vieth at the dedication ceremony. Participants also planted a tree in memory of “Caleb”, the young boy who is the subject of the investigation used in the training curriculum. The two labs are part of a DCFS Child Protection Training Academy pilot program and were designed by the UIS Center for State Policy and Leadership. They are supported by a state grant awarded to the University. The Residential Simulation Lab is located in a building that formally housed the Sangamon Schools Credit Union. The house has been vacant since the branch closed in July 2010.